Hawaii sunsets are among the most colorful worldwide. 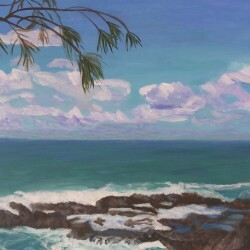 This painting captures one from Tunnels beach in Kauai. This is an original Acrylic (HxW) 18x24 inch painting by Sandra Lercari. 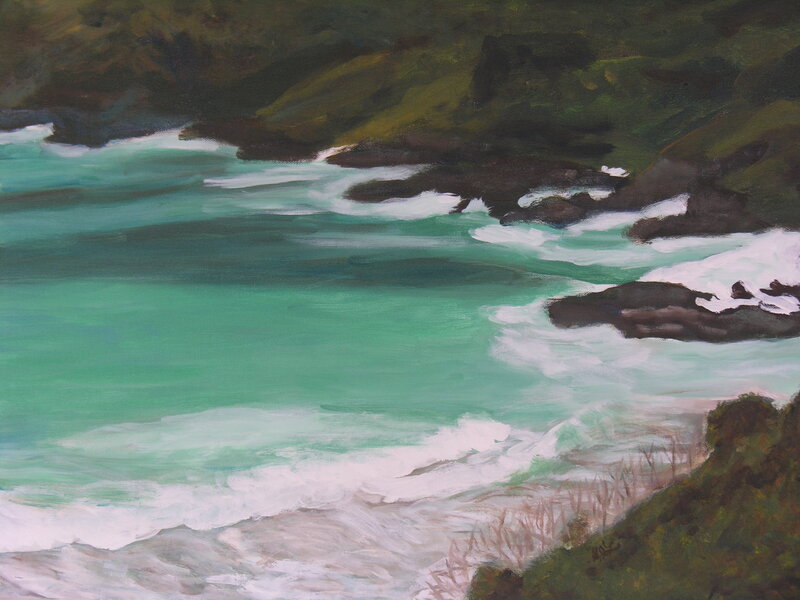 20x24 (HxW) Acrylic on canvas painting of North Shore surf along Road to Hana near Mama's Fish House. It is an original signed painting by artist Sandra Lercari. 24x20 (HxW) Acrylic on canvas. Shoreline view from Rock Quarry in Kauai. It is an original signed painting by artist Sandra Lercari. 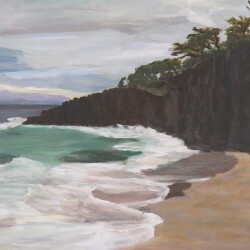 20x24 (HxW) Acrylic on canvas painting of Big Beach in Makena, Maui, HI. 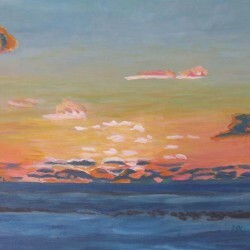 It is an original signed painting by artist Sandra Lercari. 24x30 (HxW) Acrylic on canvas. 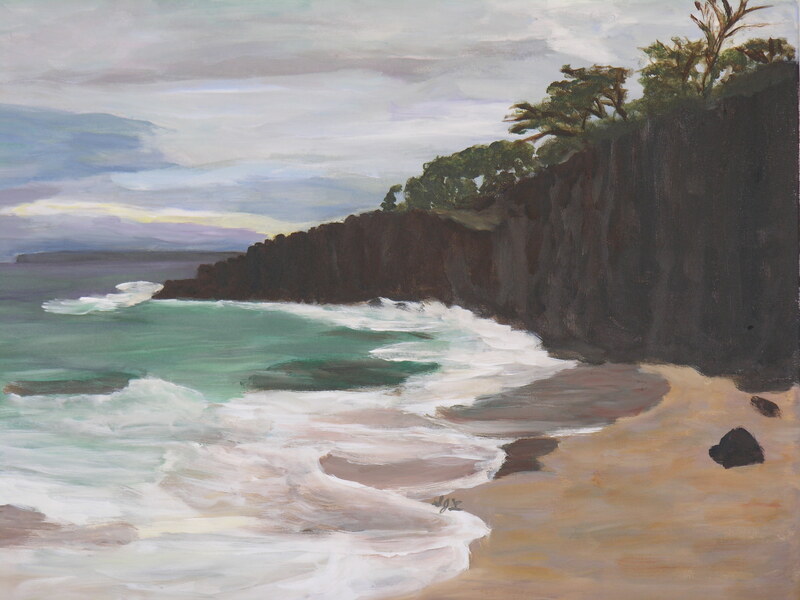 Painting is of Little Beach in Makena, Maui, HI. 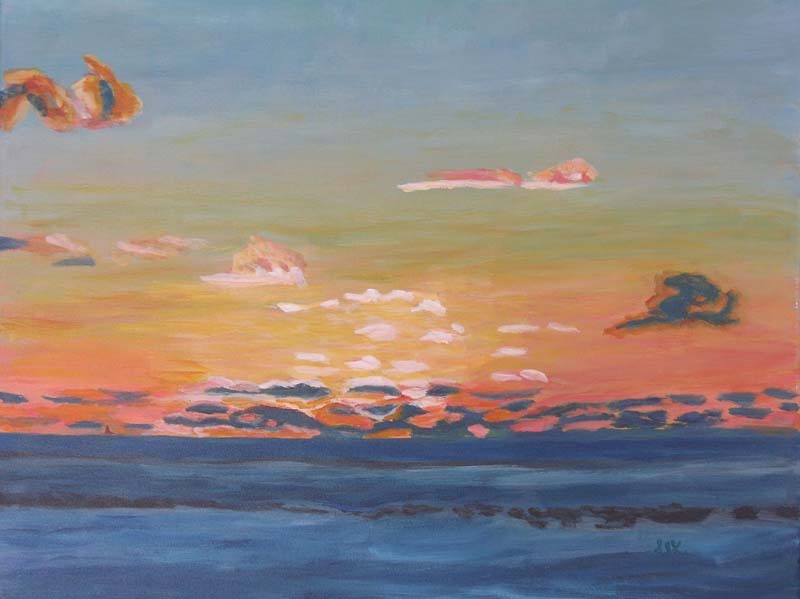 It is an original signed painting by artist Sandra Lercari. 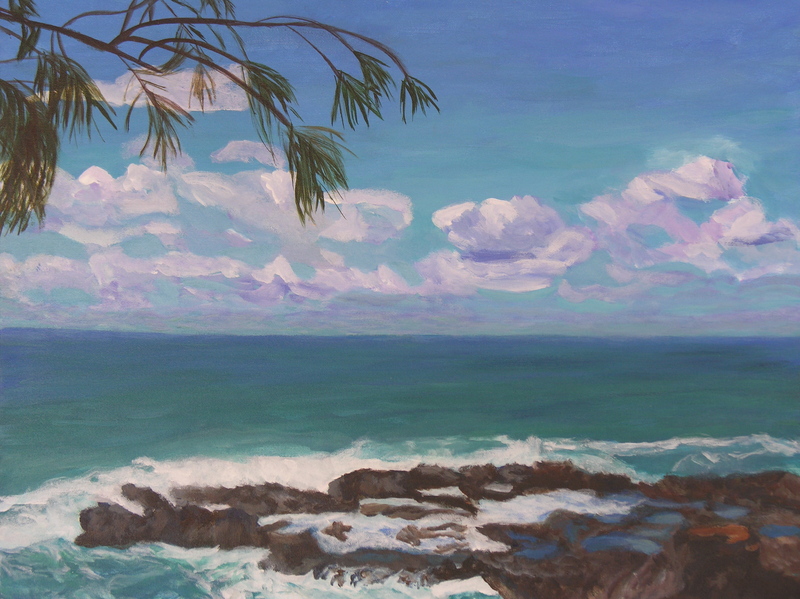 Hawaii is "paradise" for the seascape artist...the beautiful colors of the water, the surf, and the shoreline with its beaches and lava rock. 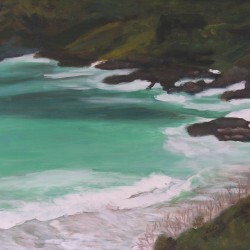 The paintings shown were created by Sandy primarily from photos she took or done plein air.